WASHBURN COUNTY -- Corey Oja of Spooner, Wisconsin, has been sentenced on felony charges of 5th Offense Drug Related Operating While Under the Influence. DrydenWire.com reported on August 23, 2018 (see below) that Oja was facing felony charges stemming from a traffic stop in April 2018. According to a criminal complaint filed against Oja, during the course of the traffic stop, officers located marijuana,a black pen, a plastic baggy, and a vial all containing white residue that tested positive for methamphetamine inside Oja’s vehicle. Oja was charged with Class G Felony Operate with Restricted Controlled Substance (5th or 6th). A lab report from the Wisconsin State Lab of Hygiene included in the criminal complaint states that Oja had THC (Marijuana), Methamphetamine, and Amphetamine in his blood at the time of the incident. Online circuit court records show that Oja appeared for a hearing on April 5, 2019 regarding his criminal charges, and the Court accepted his Guilty Plea. Oja has been sentenced to serve 9 months conditional jail time on a withheld sentence with 3 years probation. The Court also ordered Oja to undergo an Alcohol and Other Drug Assessment as well as cognitive behavior therapy. WASHBURN COUNTY -- Felony charges of 5th Offense Operating With Restricted Controlled Substance in Blood have been filed against a Spooner, WI man. 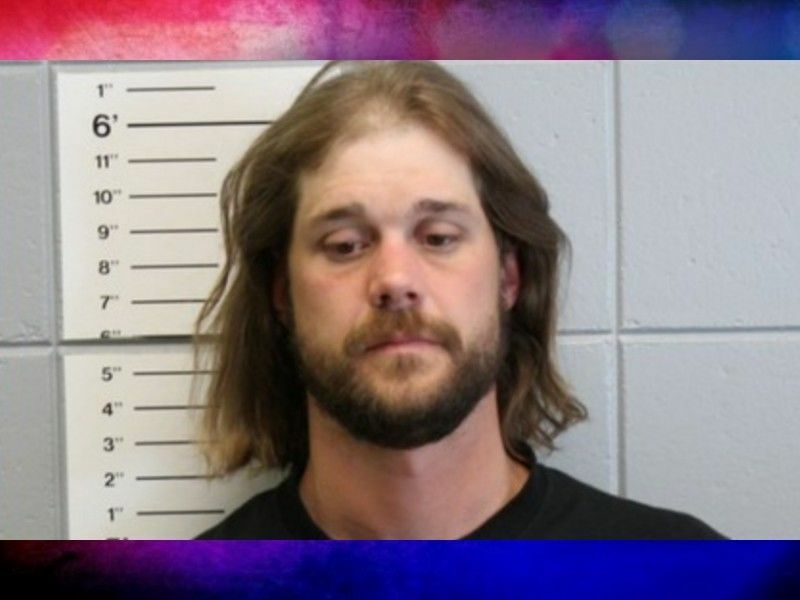 According to a criminal complaint, Corey Oja, of Spooner, WI, is facing felony charges for 5th Offense Operating With Restricted Controlled Substance in Blood. The criminal complaint states that on April 27, 2018, a Wisconsin State Patrol Trooper conducted a traffic stop on a vehicle in the City of Spooner because the driver was not wearing a seatbelt. The driver of the vehicle was identified as Oja. When the Trooper questioned Oja about where he was going, he said he was going to “a buddy’s house”. Oja also told the Trooper that his Driver’s License was revoked. A check of the registration indicated that the license plates on the vehicle did not match the vehicle. Oja told the Trooper that he had just purchased the vehicle. While taking Oja into custody, the Trooper removed a knife from Oja. The criminal complaint goes on to state that the the Wisconsin State Patrol K9 Unit was deployed on Oja’s vehicle and after positive indications were given by K9 partner Rocky, Troopers located marijuana,a black pen, a plastic baggy, and a vial all containing white residue that tested positive for methamphetamine inside Oja’s vehicle. While transporting Oja to the Washburn County Jail, Oja asked the Trooper what he was going to be charged with and allegedly went on to tell the Trooper that he had used methamphetamine 4 months ago. Once at the Washburn County Jail, the Trooper conducted standard field sobriety tests with Oja. After Oja refused to voluntarily supply a sample of his blood for testing, the Trooper completed a warrant for an evidentiary draw of Oja’s blood to determine if he had any substances in his blood. That warrant was granted, and Oja was transported to the Shell Lake Hospital Emergency Room for the blood draw. A lab report from the Wisconsin State Lab of Hygiene included in the criminal complaint states that Oja had THC (Marijuana), Methamphetamine, and Amphetamine in his blood at the time of the incident. Operating With Prohibited Alcohol Concentration on May 13, 2014 in Washburn County Circuit Court Case No. 2012CT000078 from an incident occurring on April 28, 2012. Online circuit court records show that a separate criminal case was previously filed on May 3, 2018 in Washburn County Circuit Court against Oja with the same offense date of April 27, charging him with Class I Felony Possession of Methamphetamine, Class I Felony Possession of THC (Marijuana) 2nd + Offense, Misdemeanor Bail Jumping, Misdemeanor Operate While Revoked, and Misdemeanor Possess Drug Paraphernalia. Those charges were dismissed but read in on August 2, 2018 at a hearing in which Oja entered pleas to multiple charges including Felony Bail Jumping, Misdemeanor Bail Jumping, and Misdemeanor Operate While Revoked that had been filed against him in various criminal cases. Details of those cases are not known to DrydenWire.com at this time.